A film as monumental as 2001: A Space Odyssey (1968) has earned the right to be celebrated, so that’s what’s happening for a second time this year. Now 50 years old, Stanley Kubrick’s quintessential film is returning to theaters on an even bigger “big screen,” as it will be released in Imax theaters for the first time this August. As reported by Variety, the film will come to 350 theaters for a limited run of just one week beginning on Aug. 24. This week-long run follows the film’s release on 70mm earlier this year—a screening option that allowed viewers to see the film’s details more sharply than previously possible. The release was overseen by Christopher Nolan, whose own films, including Dunkirk and Interstellar, have screened in 70mm. 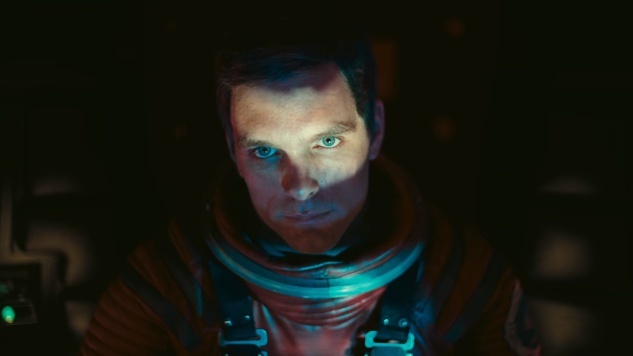 “This is the unrestored film—that recreates the cinematic event that audiences experienced 50 years ago,” Nolan said in a statement about 2001: A Space Odyssey’s 70mm release. On this theater run, however, only four locations will have the wider and sharper unrestored 70mm version shown—they will also be screened in Imax theaters. These venues are AMC Universal Citywalk 19 in Universal City, AMC Metreon 16 in San Francisco, AMC Lincoln Square 13 in New York City and Ontario Place Cinesphere in Toronto. If you want to find out why there’s so much hype about this film or just want to relive your favorite moments from the sci-fi classic, pick up a ticket when they go on sale this Friday, Aug. 3. Check out the trailer released back in April for the 70mm release below.